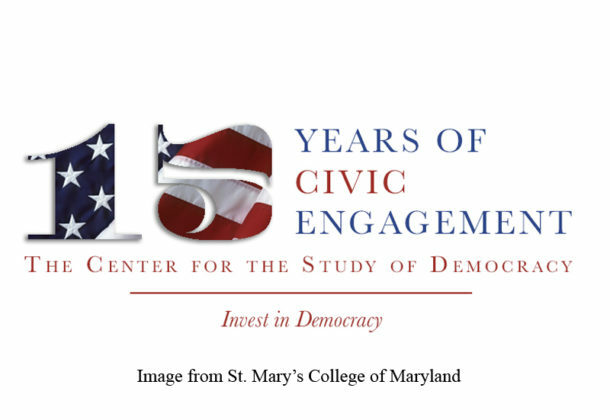 Todd Eberly, associate professor of political science and public policy, has been chosen to serve as the interim director of St. Mary’s College of Maryland’s Center for the Study of Democracy. His duties begin Aug. 1, and he will be serve until the college completes a search for a new director, as announced by SMCM President Tuajuanda C. Jordan and publicized with help from The Patuxent Partnership. Mr. Eberly has a specialty in American politics and public policy as well as Maryland state politics. His first book, titled “American Government and Popular Discontent,” was released in June 2013 and his second book, with his co-author Steven E. Schier, “Polarized: The Rise of Ideology in America,” was released in 2016 by Rowman and Littlefield. His third, also written with Schier, “The Trump Presidency: Outsider in the Oval Office,” published by Rowman & Littlefield in 2017, gives context and insight grounded in political science, showing what is – and what is not – unusual about the Trump White House and what to expect in the future. Professor Eberly’s new book, “How Trump Happened: A System Shock Decades in the Making,” is set to be published in 2019. Professor Eberly is an adviser to Project Vote Smart and his commentary and analysis have been featured in The Washington Post, the Baltimore Sun, and public radio/television. He has been an expert witness in cases that challenge gerrymandered congressional districts and has consulted with the centrist organization called Third Way. He has been named among the most influential voices in Maryland politics by Campaigns and Elections magazine. In 2010, the St. Mary’s College Student Government Association named him as a recipient of the Faculty Student Life Award.